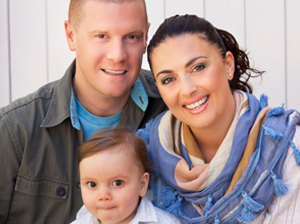 Clare lives in the North of Malta with her husband Paul, son Luke, Pierrot, her cat and Rain, a springer spaniel she rescued a while back. Family is her priority however the unconditional support of her husband and parents permit her to continue growing in all her endeavors. Besides her acting and TV presenting and producing, Clare enjoys a healthy way of life which starts from the choice of food she eats, the homeopathic remedies with which she treats and cures her ailments and extends to her practice of yoga, a discipline she has grown in since her early twenties. 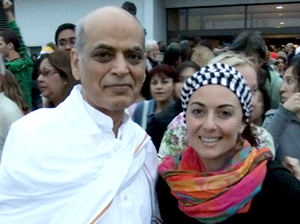 In 2010 she became a fully qualified Yoga instructor under Yogacharya Krishan Verma, Badantogast, Germany. Since a young age all that Clare dreamt about was becoming a pilot! And not just any pilot….. she imagined herself flying aerobatic jets and since as far as she can remember, did not miss one Airshow to which herfather use to take her on a yearly basis. Although this career did not materialise, Clare never lost her passion for flying and in August 2009 completed her studies and proudly earned her wings with the Malta School of Flying. Clare has grown her business aptitude through the years and besides her TV productions, in 2008 she opened her own Healing Chinese Massage clinic, an extension of her philosophy on well-being to make use of all natural and traditional methods of healing. This led to a Healing Hair, Nail & Beauty Salon at the Park Hotel which opened in 2014. Clare was born on Thursday the 18th of September 1975 at 10am! She was born as red as an apple with black curly hair, as her mother describes her. The British doctor who delivered her took one look at her feet and exclaimed “she’ll be a tall girl one day!” No one knows what went wrong, as ever since the age of 12 she has remained 5ft 1.5inch with a foot size number 36! She has pretty much remained a size 8 since her late teens and if her younger sister does not force her to throw out old clothes, Clare could easily turn out out to be a hoarder as she loves hanging on to old pieces of clothes, shoes and accessories. Having said that, she has a keen eye for quality classic garments and opts to buy those special pieces, that can withstand the test of time and fashion. As a child Clare was rather reserved and spent most of her time being creative, reading, daydreaming and most of all observing people, surroundings, smells and energies. When she did play with friends and brothers though, her vibrant energy, sense of adventure and love for life busted through. On one hand Clare can knock one out with her energy whilst on the other she’s a very calm, balanced person and this comes out mostly in difficult times. So yes you can say she’s an extremist, enjoying the ends of both spectrums. A distinctive feature in Clare’s life is her zest for traveling and discovering remote and distant parts of the world, their cultures and diversity. At the age of 4 she was on her way to America and Canada with her parents and since then she has visited more than 20 countries with the highlights being Peru, Kenya, Zanzibar, India, Australia, the Greek Islands and the Sahara Desert. Later on she started discovering Europe where she has travelled extensively both for work and leisure. She has recently taken a love for skiing and is committed to make a yearly trip out of it with her extended family. She is a diving enthusiast and finds time spent in nature to be one of the most rewarding moments in life.